I have also been playing around with the engraving nature of pyrography. 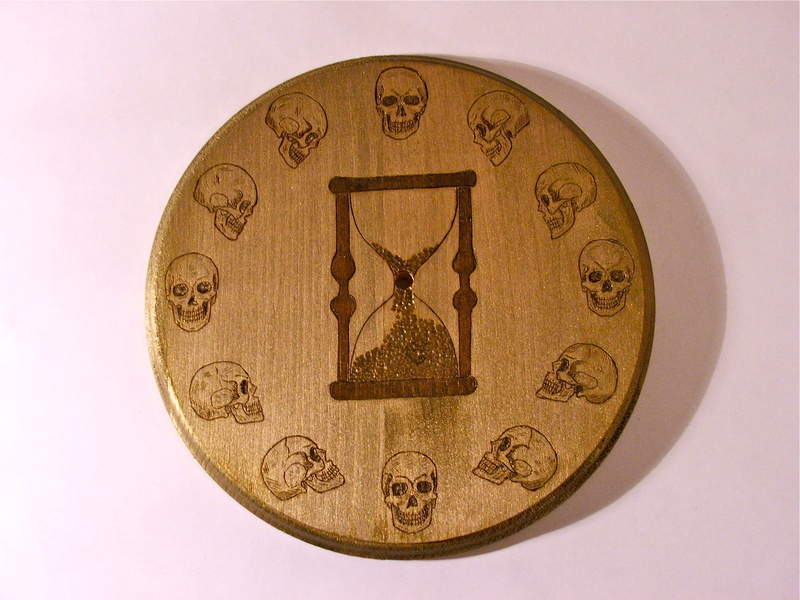 Here’s a clock I did that I then painted over with gold paint mixed with a little black, to create a brass color. Then I cleaned up the details with a dry, stiff brush to bring back the fine lines. 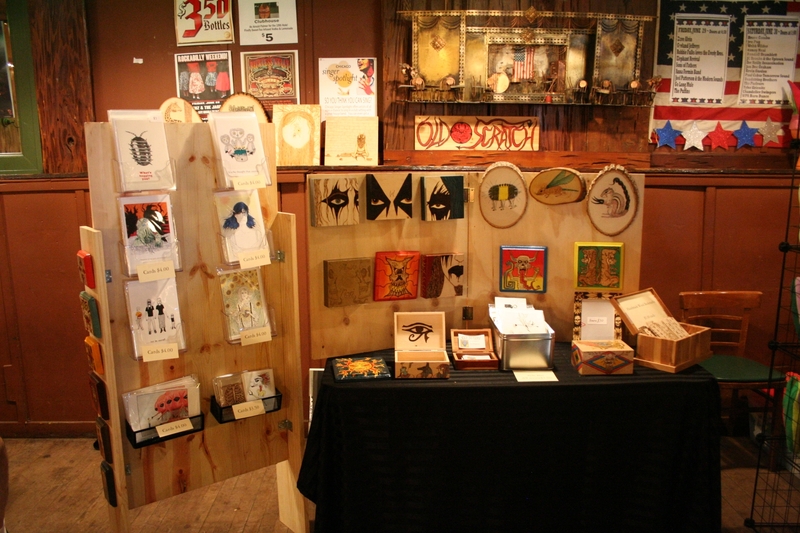 Had a great day at last Saturday’s Constructor Craft Fair at Fitzgerald’s. This was the first craft fair where I wasn’t sharing a booth, so I took advantage of the space. A big thank you to people who came to my booth and supported me, and also to my fellow vendors, who were just plain fun and inspiring to be around. I shouldn’t leave out the organizers, who always go out of their way to make this a great event. One thing I have picked up from this show is that I am ready to start moving into more products, like a greater range of cards, and finally, T-shirts. While I’m still continuing with the major and minor pyrography art experiments I’ve been doing, I’m also going to explore some other avenues for my designs. 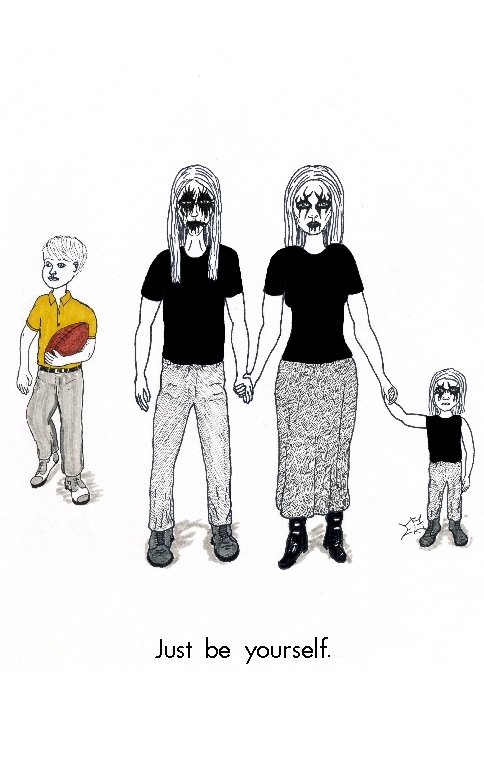 And now, it is time to return to work. You are currently browsing the Old Scratch Art blog archives for June, 2012.